The N.C. 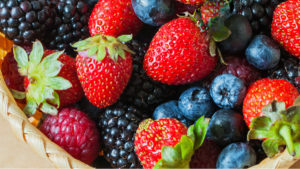 Cooperative Extension, Madison County Center is now taking orders for strawberries, blueberries, raspberries, blackberries, and asparagus. Quantities are limited so order early. Download the order form and return to: N.C. Cooperative Extension, Madison County Center, 258 Carolina Lane, Marshall, NC 28753, by March 15, 2019. Make checks payable to Madison County Extension. • Tomatoes, Beans, and Cukes…Oh My!